Isa Leibowitz was born in Bogotá, Colombia, the third of four sisters. She was raised in a loving, but strict, household, that was filled with joy and bustled with activity despite the untimely death of her father when Isa was eight. As a child, Isa had a flair for the dramatic. She turned sentences into songs and chores into performances. Sundays, she would play on the patio pretending she was a radio announcer, imitating the ads and singing the commercials. She loved to dress in costume and she always volunteered for the school plays. It was a sign of things to come. Isa grew up to work for an important advertising agency in Bogota and then for CARACOL Television and Radio, where she was a very successful corporate sales advertising executive. At the time, CARACOL was the leader in its field. In 1980, Isa and her two daughters, Sandra and Natasha, immigrated to the United States. Five years later, Isa met the love of her life, Marvin Leibowitz, on an airplane from Frankfurt, Germany. Isa was returning to the U.S. following the death of her mother and Marvin was returning from the International Chopin Piano Competition in Warsaw. Marvin introduced Isa to South Florida’s cultural treasures. Always a lover of performing arts, she became a director on the board of the Florida Chopin Council later becoming Vice President. She currently is Vice President of the Chopin Foundation of the United States and President of the Guild of the Opera. She is also Treasurer of the Miami Salon Group. She contributes countless hours and support to other local organizations including Funding Arts Network. Despite all the cultural commitments, family comes first for Isa and Marvin. 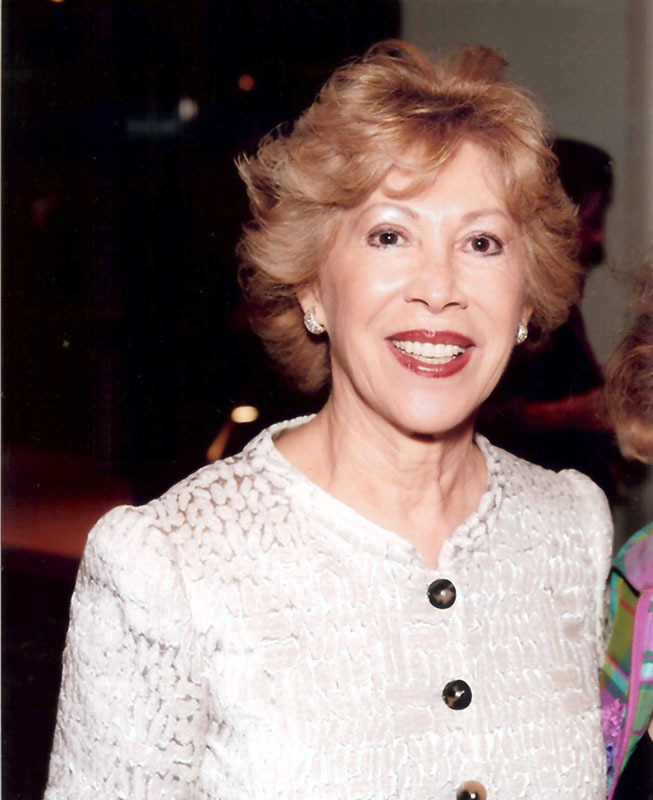 Their extended family includes Isa’s two wonderful daughters, Sandra Roberts and Natasha Narvaez and their husbands, Marvin’s son Lawrence and his wife, and six grandchildren, who love music, the arts and of course the Opera. Travel is always a family affair. Whether on safari in Africa, cruising to Antarctica or touring in France, you might see as many as 22 travelers in their party, never less than ten. The only time they don’t travel with their family, is when they are enjoying the Opera Cruises hosted by Justin Moss. As a family, they support the Opera’s Young artist Studio. For the past five years, Isa and Marvin have hosted the annual Holiday Party for the Young Artists, and they maintain their extraordinary commitment to FGO as Platinum Circle members of the Society of Crown Jewels.